The future of the state’s upstart medical marijuana program looks increasingly bleak, as an ongoing battle continues to escalate between, on one side, the LSU Ag Center and its private growing partner in the program, GB Sciences, and, on the other, Louisiana Commissioner of Agriculture Mike Strain. Earlier this week, Strain accused LSU-GBSL of illegally moving part of its cannabis crop into two rooms in its main growing facility, which has yet to begin full production. Until now, the plants have been grown in a temporary facility on the property of the Petroleum Drive facility. LSU also made available a copy of a Feb. 28 letter it received from Strain’s director of the medical marijuana program, Tabitha Irvin, granting it permission to move the crop to the two rooms in the facility. “In an effort to get the product to the pharmacies for the citizens of Louisiana, the commissioner has decided to grant the LSU Ag Center the authority to move plant material into the requested rooms in the main facility,” Irvin wrote. So why, then, did Strain accuse LSU of breaking the law? The answer appears to hinge on a detailed Memorandum of Understanding that was attached to Irvin’s Feb. 28 letter, which LSU has declined to sign. LSU says it is mystified by the continuous road blocks it continues to encounter from Strain in a program that has been in the works for two years and still has no product release date in sight. 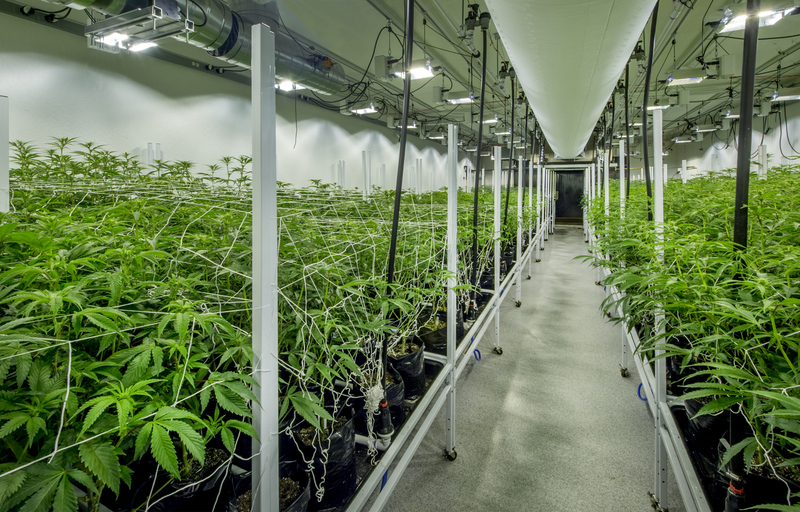 An initial batch of medical marijuana was harvested from the temporary facility last fall. LSU’s Hampton Grunewald says the raw product passed all the state’s required tests. The product has not been processed for final testing and eventual distribution, however, because LSU-GBSL does not want to move forward with distribution until it has a steady supply chain. With the latest dispute with the state over the MOU and the start up of production in the main facility, it is unclear when that might be.